Pick and Win with Dephect! Time for another giveway competition. Splendid fashion purveyors Dephect have stepped forward with a little giveaway for anyone who cares to enter. Just get your arses over to the Dephect website, pick one t-shirt, a colour and a size and send your selection (only one) in an email to dephect-at-skratchworx-dot-com. No entry restrictions, but you can only pick one t-shirt and only enter once. But don't let that stop you checking out the rest of the site! 3 lucky winners picked 2 weeks today. Good luck! Ahhh... the joys of the digital age. In the olden days, before the interweb and even DVD, if you bought something that wasn't quite right, it had to go back to get fixed or was simply returned for being a bit pants. But these days, a click of a button - a burn of a disk and your previously troublesome lump of gear is now purring like a big old happy Cheshire cat. So after Denon and Vestax tweaked their own firmware in their line of CD decks, Pioneer have done just the same with an update for the CDJ-1000, 800 and CDJ-1000 decks. DJ Yoda has always been a solid favourite in the skratchlab. He's always coming out with quality cut'n paste style productions that make your head nod, belly laugh and generally make you wonder quite where his head's at. Being an early adopter of VJing, he's now using the new Pioneer DVJ-1000s in his live shows (that I really must get to see sometime) and Pioneer quite naturally want to shout from the rooftops that it's not just dance DJs who can use this tackle - so they've applied ridicuously high production values for a DJ Yoda/DVJ-1000 promo movie. So I've had this footage for like ever and was waiting for the proper audio feed to arrive before letting it loose on you guys. But the live audio never arrived so you'll just have to suffer the relative crapiness of my minidv cams built-in microphone. It's still pretty damned good though - besides you won't even notice it when you're watching QBert, Mike L, Matman and Sinical tear it up. 2006 has been quite a trek for yours truly. LA in January for NAMM, Frankfurt in April for MusicMesse, London last month for PLASA as well as a brief day trip to sunny Barnsley for the DJ North show. And another show has just come into my radar - and thankfully it's only a train ride away. Next week sees the Music Live 2006 show happening at the NEC in Birmingham, UK. I've got to hand it to the MixVibes crew. From their humble start a couple of years ago at MusikMesse, Eric and Patrick have constantly raised their game to the point where MixVibes is a serious package to be reckoned with and have the backing of some of the most respected names in the DJ scene. They've been tinkering with features, making it work with all sorts of controllers and now have it at a point where they can genuinely call it a professional product. 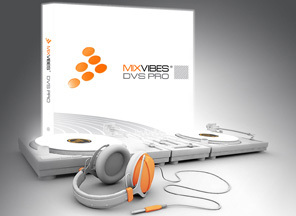 So it comes as no surprise to see that they've announced MixVibes DVS Pro - a package that manages to shoehorn just about every feature you can think of into one package that any digital DJ would want. And guys - I'm loving the white, grey and orange. Vestax's single CD deck the CDX-05 came out to much acclaim, especially with the Tascam TTM1 making your regular near historic vinyl turntable into a scratchy CD thing and making a great job of it as well. But it wasn't without its problems and Vestax have (just like Denon in the previous story) released a firmware update. Version 2 is upon us and ready to download. 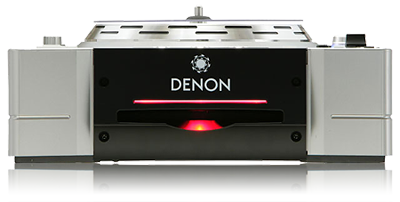 Over a year ago - a full 14 months in fact - Denon announced the rather splendid looking DNS-3500 CD deck. We've yet to see one though and this is why - Denon have been working hard to fix all those little and not so little bugs that would have knocked the ratings down. Now they're happy that it' working just fine and have released a firmware update for it. So for the love of God Silvio - can we finally get one of these bloody things to review? If you're talking viral, DJ Keltech's Darth Vader scratching skit was a massive success this year on the internet as was his War of the Worlds set as well. So instead of making more movies, he's finally got a full LP together and rather splendid it is as well. I give you "Strike Back"
Can't stop technology... breaking websites that is. Seems has developed an annoying bug because of Microsoft's new IE7 release. No news was appearing - well no news that contained a link of some sort anyway. I'm working on trying to pinpoint and fix it but for now, stick with... well any other browser except IE7. There's always someone ready to think out side the box and this is a prime example. The R.A.K.E. gives you double bangs for your buck and fuses 2 carts into one headshell for double spinning pleasure. The new DJBattle TVepisode is out and it's the best ever... well I would say that really because I'm the extremely brief host. But we're letting the DJs do the talking with footage of Roc Raida, Mr Eclipse, 2Tall, Matman and that cheeky Daredevil. You can also get a glimpse of London's Gong Battle as well. This ever-so-friendly takeover has been brought to you by TurntableRadio and . OK - so I'm paraphrasing Mark Twain's quote but some clarification is needed here. Some of you may have seen this recent MACNN news item, showing that the relationship between Native Instruments and Stanton will officially come to a mutual end at the close of 2006. This has led to a few people happily dancing on the grave of the allegedly still warm corpse of Final Scratch - but Final Scratch is far from dead. I asked Stanton for some official comments and what follows should clarify things beyond a shadow of a doubt. Here's the thing - I'm somewhat traditional when it comes to spinning. I like the feel of vinyl in my hand - I like putting the needle in the groove - so when I've tried the various bell and whistle laden bits of software that come my way, I tend to put my cardigan, slippers and grumpy hat on and mutter "it wasn't like this in the olden days". But one thing I did wish for was a more DJ like experience when trying to navigate my way around overly complex interfaces - something like a mixer that could control this devil's own software for those hard of adapting like me. Now I know midi control of software isn't exactly new - the likes of Ecler and Allen & Heath have been doing it for a minute now, but it's been a bit of a frying pan/fire scenario. 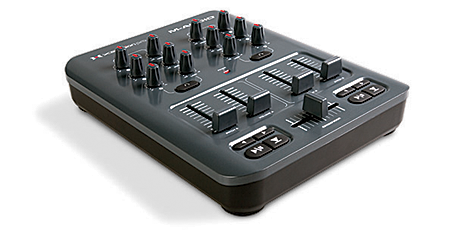 So I'm chuffed to see M-Audio bring out something that resembles a good old fashioned DJ mixer but is in fact a MIDI controller - something that a good old fashioned DJ can relate to. People - I give you M-Audio's X-Session Pro. Having released 2 incarnations of DIY products, namely the stellar standard tutorial DVD that is DJ QBert's DIY1 and the follow-up DIY2 Q&A frenzy, the DIY ethic (but not theme) has been extended, but not like you might think. Building on the slippery success of Butter Rugs and Flying carpets, Thud Rumble have now brought out the perfect product for those creative types who are less than satisfied with the oh so booooring black Butter Rugs. Tony the Tiger Scratchy Seal gives you Frosted Plates - white slipmats with flying carpets included to you can customise not only the front of the mats, but also the slippiness as well. Being part of the in-crowd, we got invited to the secret Vestax room at PLASA to check out what they're up to. What we saw was interesting to say the least. No eclectic way outside the box concept devices, just pretty straightforward lumps of DJ gear with a more than a pinch of Vestaxism. Obviously at the time we swore a death oath to keep what we saw secret. So it came as no surprise that a few weeks later, they were out on public display in Japan. Vestax have authorised me posting these pictures courtesy of the PowerDJ blog, even if I am a little light on info right now. Big thanks to Tim Tempest for the heads up on this. Reviewed: The HAK380 is here - finally. It's actually been written for 6 weeks and my review appeared in DJ Mag a few issues ago. But I wasn't happy once I'd done the usual screwdriver level review for . So the next point needed clarifying before publication. Reduced: The price that is. The launch price for the HAK380 (certainly in the UK) was �649 - premium level pricing and not quite reflecting the improved feature set. So off went the original review to Ecler HQ with a suitably worded "nice mixer but too expensive - please reconsider" message. Clearly touching a nerve, the price has been dropped to a much more wallet-friendly �575. And to keep the range in line with each other, the HAK360 is now �399. This is official, but I'm not sure it's filtered down to dealers just yet. Removed: The HAK310 seems to be an ex-mixer. The spiffy new Ecler website (now Safari-friendly) doesn't list the HAK310 anymore. I guess if you want more cost effective Ecler scratching, you'll need to look at the NUO range. While all the big boys throw squillions of dollars at scratch lab rats to work out a way to spin MP3s - and still coming out with a solution that involves vinyl - Red Rock Software have decided that vinyl based turntablism is soooo 1990. Instead, they've simply done away with old fashioned "records" and decreed that the Mac is the new vinyl. Enter iScratch v1.0. A little while back, QBert announced Pepsi's QQuestDJs - a search for the best DJs to battle it out for a grand prize that will happen at Skratchcon 2006 in December. Well entries are closed and the battle begins today. Click on the above banner to go to the QQuestDJs MySpace page to checkout the shortlist.